A bouquet with a wow factor! Beautiful miniature roses with soft peach petals dispersing a delicate scent. A mixed variety of gorgeous colours are skilfully hand-tied by our expert florists to present this stunning floral classic. 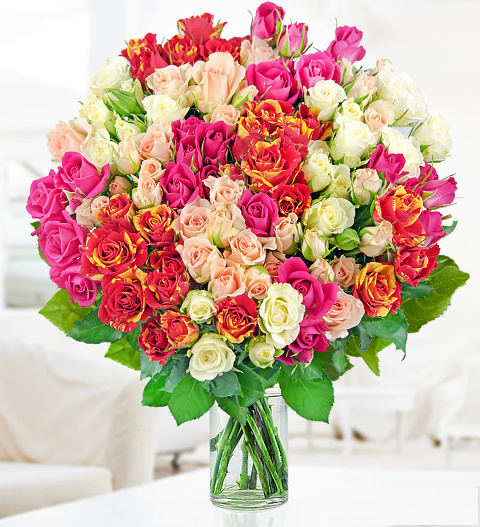 Perfect for any occasion, this bouquet comes full of beautiful spray rose heads. Average 100 spray rose heads over 23 stems. Available for UK next day with a FREE box of handmade British truffles.